Check out this expert interview series with a member of the Medelita team: Ariel Jacoby, Digital Content Editor. View original aritcle at this link. Ariel Jacoby is an experienced medical writer and digital content editor at Medelita, where she works daily with medical professionals and industry influencers to empower them to take pride in their professional appearance. 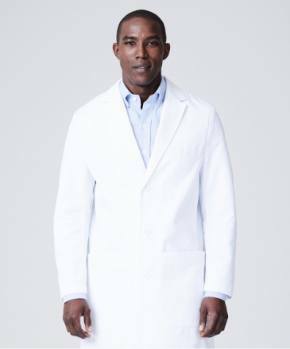 WHAT SHOULD PHYSICIANS AND OTHER MEDICAL PROFESSIONALS LOOK FOR WHEN SHOPPING FOR LAB COATS, SCRUBS AND OTHER APPAREL? It’s worth it to spend a little extra time and money to find a uniform that's versatile enough to meet your specific needs. Every medical provider is different, which is why you’ll need a uniform that's appropriate in any patient setting and situation. 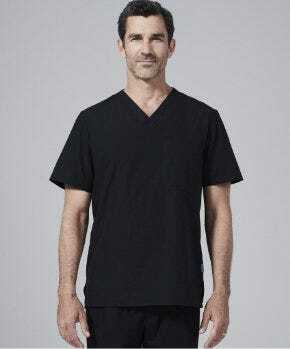 Look for scrubs and lab coats that emphasize function and durability — if they’re made with moisture-wicking performance fabrics, for example, that’s a good indicator that your uniform will work for you and that it will last longer without needing to be replaced. 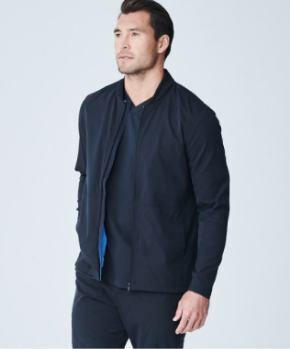 Also pay attention to tailoring — look for an ergonomic fit that won’t restrict your range of movement. Today you can find lab coats and scrubs in so many different styles, but we generally recommend that medical providers steer clear of “trendy” uniforms that aren’t doing you any favors and can even get in the way of your work. It can come off as unprofessional when you’re wearing scrubs that are too tight or that make you look like you just got off the runway. We’ve even seen lab coats embellished with flashy gold zippers, which can actually be pretty dangerous if worn in the wrong situation. 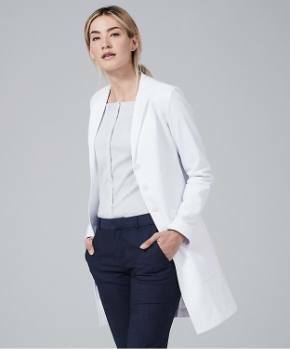 Instead, look for understated styles of lab coats and scrubs that are tailored to fit you well and will give you a truly professional appearance. Because lab coats and scrubs are required to be worn in many hospitals and medical workplaces, it’s not unusual for medical professionals to just go for whatever is cheap and easy. But when your only criteria is cost and convenience, you’re really doing yourself a disservice because today’s generation of scrubs and lab coats can be so much more than “just a uniform” — they can actually help you do your job better! WHY IS IT IMPORTANT THAT PHYSICIANS AND NURSES TAKE CARE WITH HOW THEY DRESS AND PRESENT THEMSELVES TO PATIENTS? Your uniform is your outer display of achievement and prestige. It makes the general statement to your patients that you personally care about your appearance and will in turn take good care of them. Studies have proven that there really is a strong connection between appearance, confidence and poise. Anyone who has had to give a presentation or speech during a bad hair day can attest to that fact! When you look good, you are more likely to feel good, which in turn leads to better performance and more positive health outcomes. WHAT'S TRENDING IN MEDICAL APPAREL TODAY? WHAT ARE MEDICAL PROFESSIONALS INTERESTED IN? Medical professionals today are looking for clothes that can do it all! These people lead extremely busy lives, both at work and off the clock, and they need versatile uniforms that suit a 24/7 lifestyle without sacrificing their personal style. 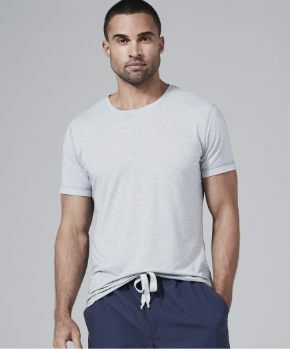 Because of that need for versatility, medical apparel trends have been shifting towards the athleisure styles built upon sleek, streamlined athletic wear made from lightweight performance fabrics. A clear example of this is the resurgence of underscrubs and scrubs jackets. These multipurpose garments are designed for use in the hospital, but since the trend has evolved they look a lot like something you’d find at high-end athletic brands like Under Armour or Lululemon. These stylish, inconspicuous medical uniforms can easily transition from a clinical setting to the gym or even to run errands without attracting odd looks once you leave the hospital. WHAT SHOULD MEDICAL PROFESSIONALS BE AWARE OF WHEN IT COMES TO CARING FOR THEIR LAB COATS, SCRUBS AND OTHER CLOTHING? The most important consideration of caring for your lab coats and scrubs starts before you even make a purchase, because the fabrics used to make the garments will be the biggest factor for how you care for them. Medical professionals should also be aware of how washing their uniforms will affect the longevity and performance of the garment. Performance fabrics are almost always the most low-maintenance option, since they don’t hold onto stains and usually have moisture wicking and wrinkle releasing properties, but pay special attention to the care instructions on the label or those performance features may fade over time. WHAT CAN MEDICAL PROFESSIONALS BE DOING TO IMPROVE THEIR JOB SATISFACTION? HOW CAN THEY OVERCOME SOME OF THE NEW STRESSORS THEY'RE DEALING WITH DAY TO DAY? Healthcare has always been an extremely demanding and fast-paced industry and most of the pressure falls on the medical professionals at the frontlines with their patients. Unfortunately, there is no one-size-fits-all approach to improving job satisfaction, because every workplace and every provider is different. However, maintaining a healthy work-life balance is absolutely critical to achieve any kind of long-term job satisfaction, and all medical professionals can benefit from taking time when they need to decompress and refocus their minds.